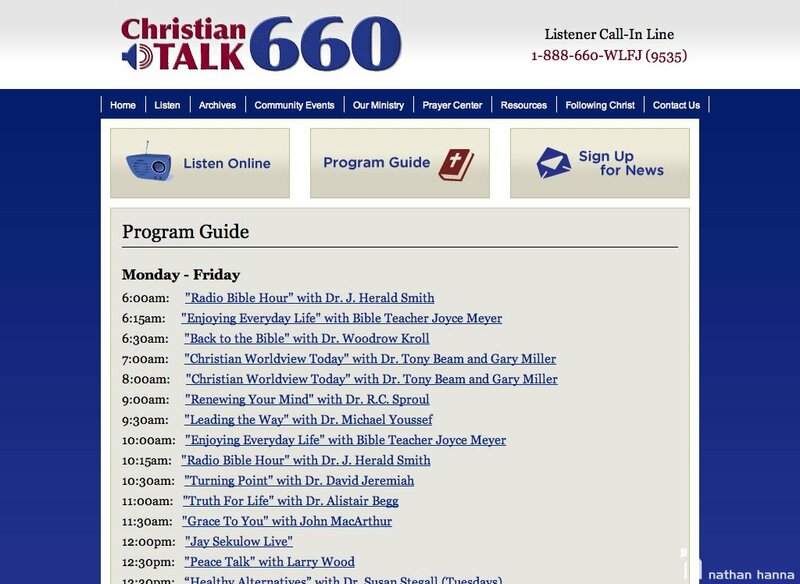 Christian Talk 660 is a part of HIS Radio Network and Radio Training Network. 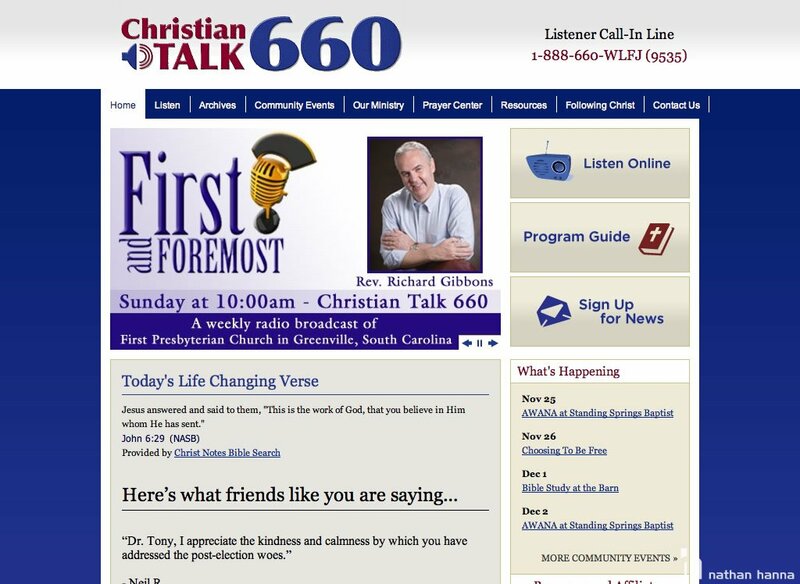 Their studio is located in Upstate, South Carolina and are heard in 4 states: South Carolina, North Carolina, Georgia, and Tennessee. 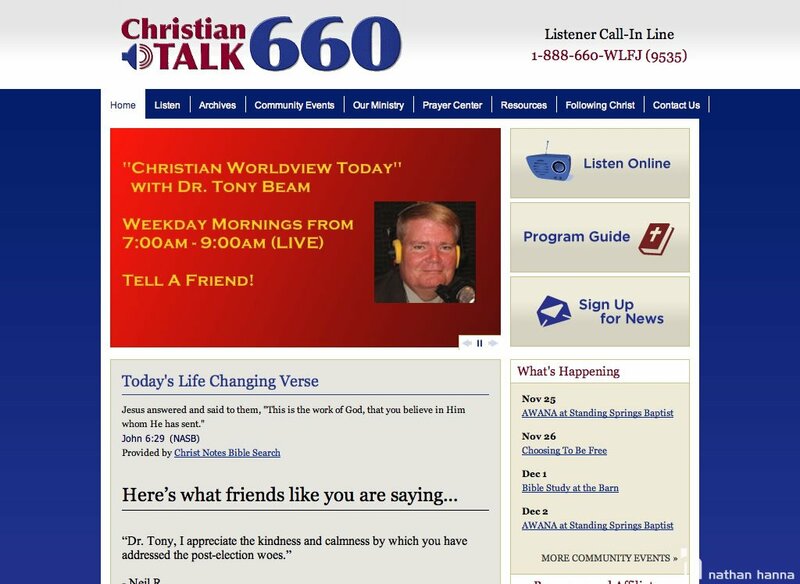 This site was a redesign I did for them with goal to create a modern clean design with better calls to action.